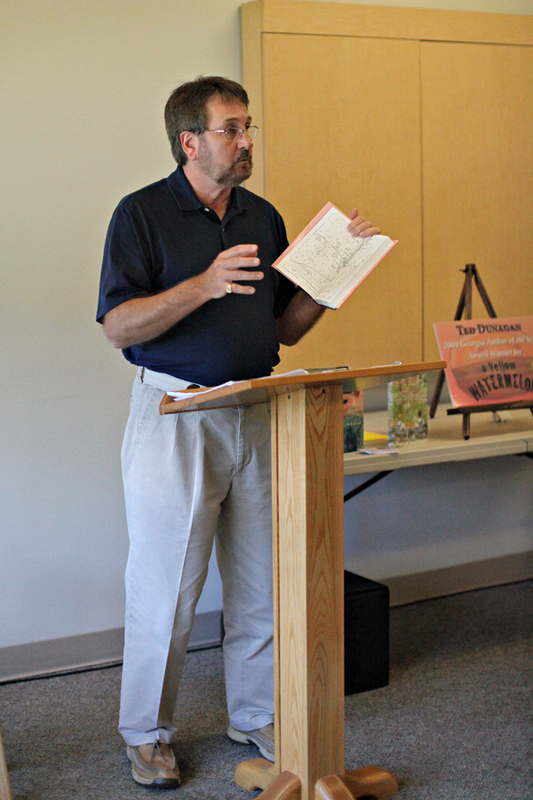 “It started with the book title and a very small premise of a missing person.” So author Keith Donnelly told a crowd at Elizabethton Book Club about the first of his Donald Youngblood mysteries, a book called Three Deuces Down, published in 2008 by NewSouth Books. Not three years later, he’s just published his third in the series. He debuted Three Devils Dancing with a program last month in Gatlinburg, Tennessee for Friends in Need, a church-based community outreach program. In the third novel, Detective Youngblood investigates the death of a young woman on the Sugarlands Nature Trail in Great Smoky Mountains National Park. One of the three devils is found in a tattoo on her dead body. Donnelly’s next book signing will be on Wednesday, November 24, 2010 at 1 PM at Waldenbooks in Charleston, South Carolina. Three Deuces Down is available from NewSouth Books and Amazon.com. 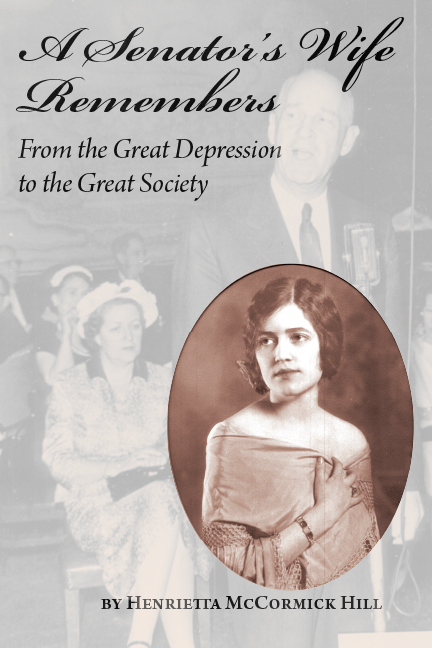 Recent articles in The Gadsden Times and The Montgomery Advertiser praised the new memoir A Senator’s Wife Remembers: From the Great Depression to the Great Society, noting its importance for Alabama political history. The book has an unusual gestation, being a memoir composed of a manuscripts and letters written by the wife of the late Senator Lister Hill and compiled and edited by her daughter, who discovered the materials in a box in the attic of the Hills’ Eufaula home. Dana Beyerle, in The Gadsden Times, points out that “Lister Hill was a significant force in national and Alabama politics during the Roaring Twenties, Depression World War II and the post-war era.” Hill co-sponsored the Hill-Burton Act, or correctly the Hospital Center Construction Act of 1946, that provided grants to improve public health. He sponsored the TVA Act and the National Defense Education Act, or the G.I. Bill, among other legislation. He served as Senate Majority Whip from 1941-47. The Montgomery Advertiser covered a celebratory party given by Henrietta Hubbard’s son Lister at his Garden District home in honor of his mother’s work seeing the publication of the book to its fruition. According to the Advertiser, more than 40 guests enjoyed the event and booksigning. John Andrews, a nephew of Henrietta Hubbard, will speak about the book and his family’s connection to Eufuala, Henrietta Hill’s hometown, at the Eufaula Carnegie Library on November 9 at 6:30 pm. A Senator’s Wife Remembers provides valuable information about the family life of a man whose political legacy is assured. The memoir provides insight into his many achievements. A Senator’s Wife Remembers is available from NewSouth Books, Amazon.com, or your favorite retail or online book seller. Young adult author Ted Dunagan recently concluded an exhilarating two weeks of presentations at schools and libraries in south Alabama, speaking to over 1,000 youngsters about his award-winning book, A Yellow Watermelon, and its newly published sequel, Secret of the Satilfa. An appearance at the Georgia Literary Festival in Statesboro concluded his trip. A Yellow Watermelon and Secret of the Satilfa are available from NewSouth Books or your favorite local or online bookstore. You are currently browsing the NewSouth Books weblog archives for November, 2010.